As many as 12 Indians and four persons of Indian origin -- three Indian Americans and one Indian Canadian -- feature among the 197 Young Global Leaders named by the World Economic Forum on Wednesday. The WEF's Young Global Leaders for 2010 honour recognizes and acknowledges up to 200 outstanding young leaders from around the world for their professional accomplishments, commitment to society and potential to contribute to shaping the future of the world. The list also includes tennis superstar Roger Federer of Switzerland, Twitter CEO Evan Williams from the USA, Google's user experience czarina Marissa Mayer, and ace swimmer and founder of Fountain for Youth Ian Thorpe. These Young Global Leaders are selected from 72 countries and various sectors such as business, government, academia, media, non-profit organisations and arts and culture. Agatha Sangma, Minister of State for Rural Development of India. Ashok Aram, managing director, Abraaj Capital. Ashok Giri Durgesh, chief executive officer and founder, Vindhya e-Infomedia Private Ltd.
Manisha Girotra, managing director and chairperson, UBS Securities (India) Pvt. Ltd.
Nandita Das, filmmaker and actress. Narendra Murkumbi, co-founder, vice chairman and managing director, Shree Renuka Sugars Ltd.
Sandeep Naik, co-head, Apax Partners India. Sangeeth Varghese, founder, Leadcap Trust. Sangita Singh, senior vice president and head of enterprise application services, Wipro Technologies. Sanjeev Sanyal, founder and managing trustee, Sustainable Planet Institute. Sriram Raghavan, chief executive officer and co-founder, Comat Technologies Pvt. Ltd.
Tejpreet Singh Chopra, government relations & strategy development, General Electric. Anand Chandrasekaran, director, products, Openwave Systems Inc.
Sanjay Gupta, senior vice president and advisor to the executive chairman, Abraxis BioScience. Shamina Singh, chief operating officer, global community relations, CitiGroup. Ricken Patel, co-founder and executive director, Avaaz.org, from Canada. The new list of Young Global Leaders has 43 people from East Asia, 21 from South Asia (including India), 46 from Europe, 14 from Middle East and North Africa, 17 fro m sub-Saharan Africa, 38 from North America, and 18 from Latin America. The 2010 list has more gender parity than ever, with 38 per cent women leaders featuring in it. 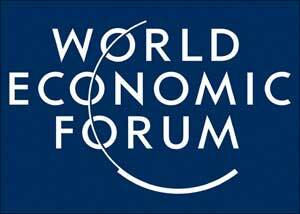 "The World Economic Forum is a true multi-stakeholder community of global decision-makers in which the Young Global Leaders represent the voice for the future and the hopes of the next generation. The diversity of the YGL community and its commitment to shaping a better future through action-oriented initiatives of public interest is even more important at a time when the world is in need of new energy to solve intractable challenges," said Klaus Schwab, founder and executive chairman of the World Economic Forum, in a media statement. Drawn from a pool of almost 5,000 candidates, the Young Global Leaders 2010 were chosen by a selection committee, chaired by Queen Rania Al Abdullah of the Hashemite Kingdom of Jordan and comprised eminent international media leaders. The 2010 honourees will become part of the broader Forum of Young Global Leaders community that currently comprises 660 outstanding individuals. The YGLs convene at an annual summit -- this year it will be in Dar es Salaam, Tanzania, from May 2-7, 2010, the first time in Africa and the largest ever gathering of YGLs.